We had a great holiday and the flat was really good. Very central to Aviemore, spotlessly clean andspacious.Close to all the shops. We didn’t have a car but used public transport to visit relatives in nearby Carrbridge, a day in Inverness and for a trip up the Cairngorms. The flat was absolutely perfect for our requirements.We travelled with keen walking friends for a week in the hills. The weather wasn't kind so the space to be comfortable inside and get things dried out was terrific. The facilities were all you would ever need and two bathrooms was a major plus. The beds are super comfy. The location on the high street very near shops, bars and restaurants was a boon but bedrooms on the other side facing a very quiet cul de sac meant there was no noise or disturbance.Can't wait to stay again. Is a very comfortable and complete floor. Is the second time I rent it. It is also very well located, in the center of the village. Great apartment for families with lots of room for everyone. Hand central location within easy walking distance of shops bars and restaurants. Nicely equipped kitchen and all important WiFi included. The apartment has a big living room and a kitchen. With 4 adults you have lots of space, but is is even possible up to six. Thefamily is very nice and offered milk and bread, as well as butter, tea and coffee for persons arriving late.Very nice. This apartment fulfilled all expectations and more. Well equipped, good layout, everything in good working order and in place for a relaxing family holiday. Also very convenient for the town centre and even had friendly neighbours in the apartment block! A relaxing break away-thank you. 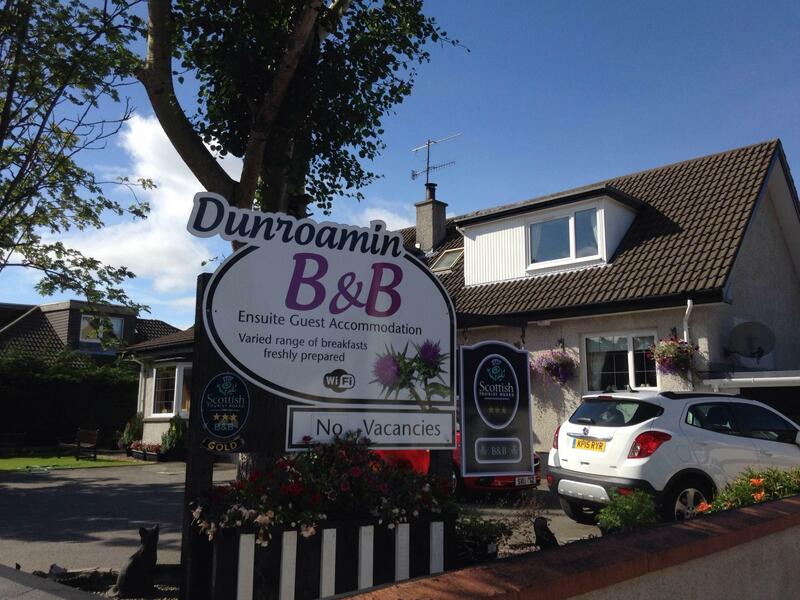 Having stayed in the B&B family suite two years ago it was an easy decision to return again to Dunraomin but this time we thought we would try out the apartment. It did not disappoint. The accommodation is very clean, spacious, comfortable and extremeley warm - a must for two teenage girls and a mother who loves the warmth! The flat is within short walking distance of all the amenities the town has to offer, so eating in or dining out are easy options. We look forward to returning again soon.